The Fox Woman is a powerful first novel, singing with lyrical prose and touching the deepest emotions. A historically accurate fantasy, it gives us a glimpse into, and an understanding of, the history that shaped the people of one of our world's greatest nations. But it is also a story about people trying to understand each other and the times they live in, people trying to see through illusions to confront the truth of who they are. KIJ JOHNSON is an American fantasy writer noted for her adaptations of Japanese myths and folklore. Her Tor.com story "Ponies" won the 2011 Nebula Award for Best Short Story. 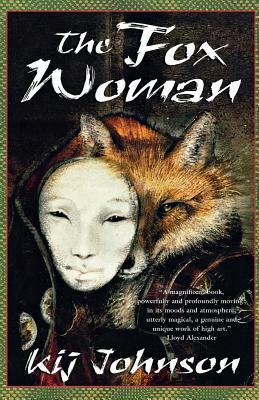 Her story "Fox Magic" won the 1994 Theodore Sturgeon Award, her novel The Fox Woman won the Crawford Award for best debut fantasy novel, and her subsequent novel Fudoki was a finalist for the World Fantasy Award and was cited by Publishers Weekly as one of the best fantasy novels of its year. She is also an associate director of the Center for the Study of Science Fiction at the University of Kansas.